Its all about styling your outfit with the right accessories. 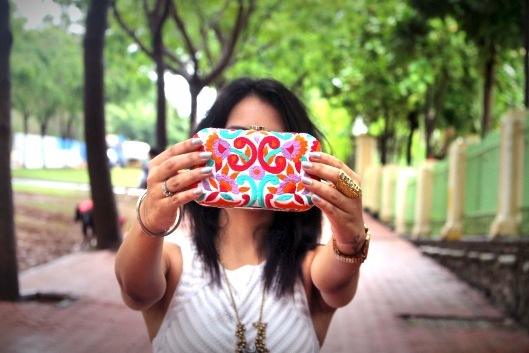 An accessory can make or break your outfit! If you are in a dilemma of what outfit to wear on a particular occasion, fret not! 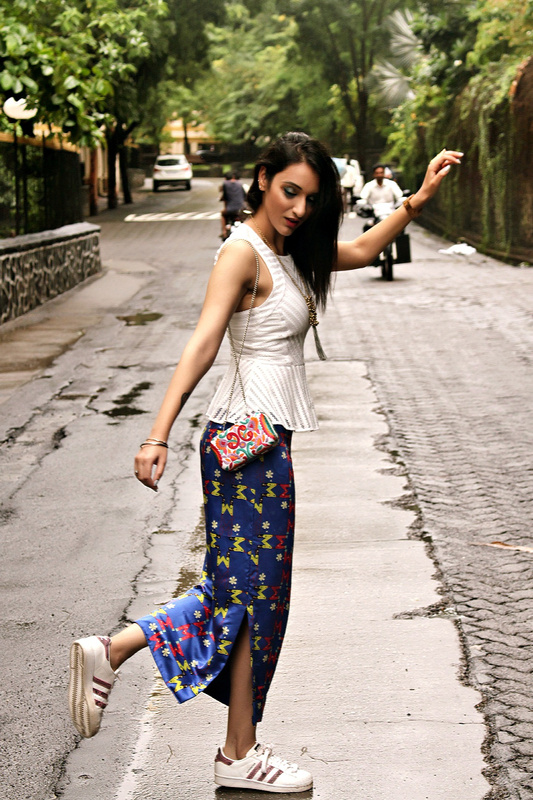 Styling a basic outfit with a statement accessory works wonders! 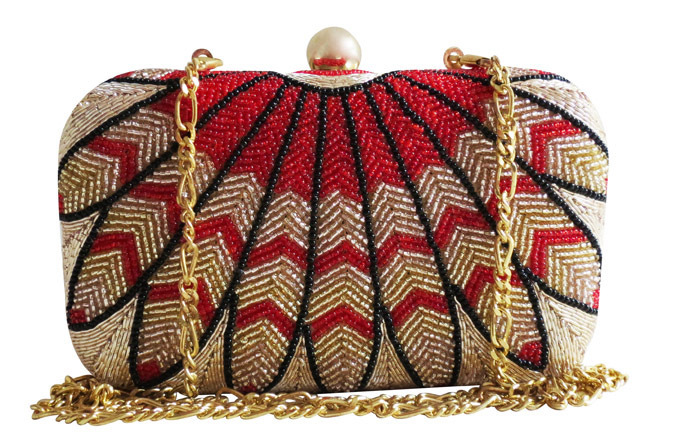 Lately there has been a wave in the fashion paradise of hand woven clutches. Not only do they look absolutely stunning but they amp up a monotonous look. 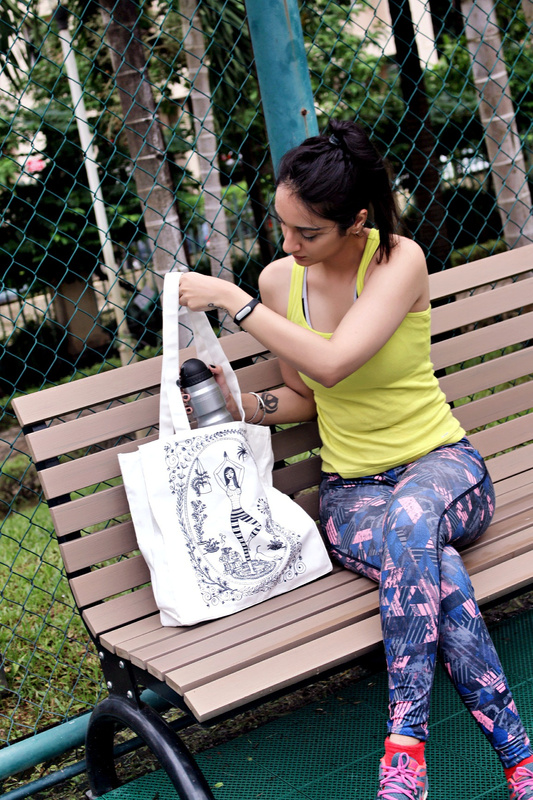 Spearheading this trend is a young accessory designer, Tarini Nirula who launched her own label of Luxury Fashion Accessories in November 2011. 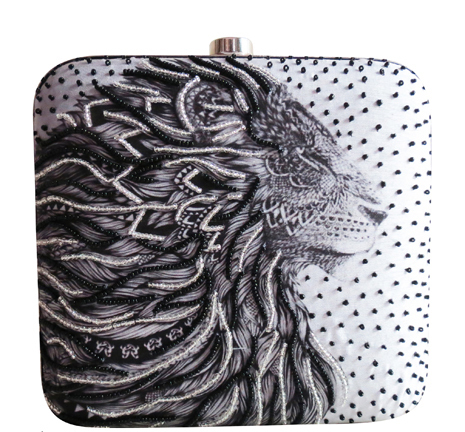 Her exquisitely handcrafted designs reflect an evolved aesthetic with strong functional roots. 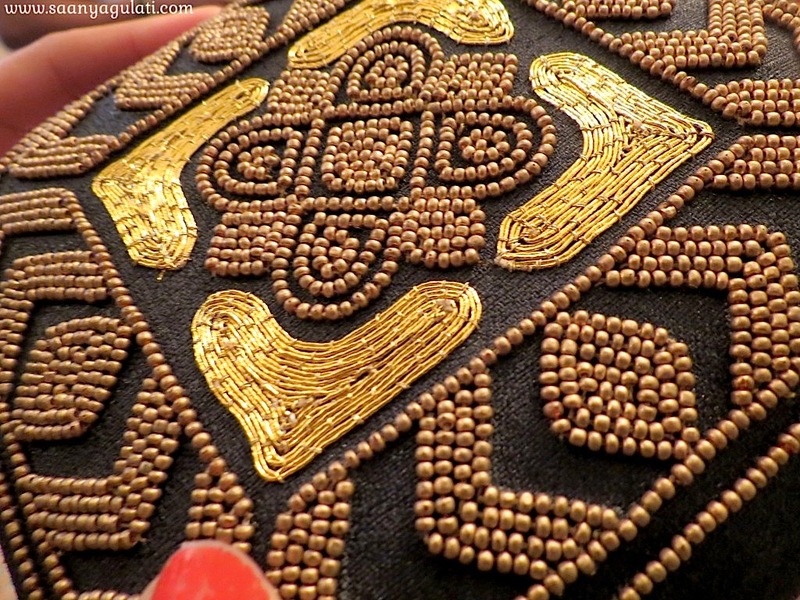 Each Minaudière is adorned with traditional surface ornamentation and is meticulously assembled by skilled artisans. 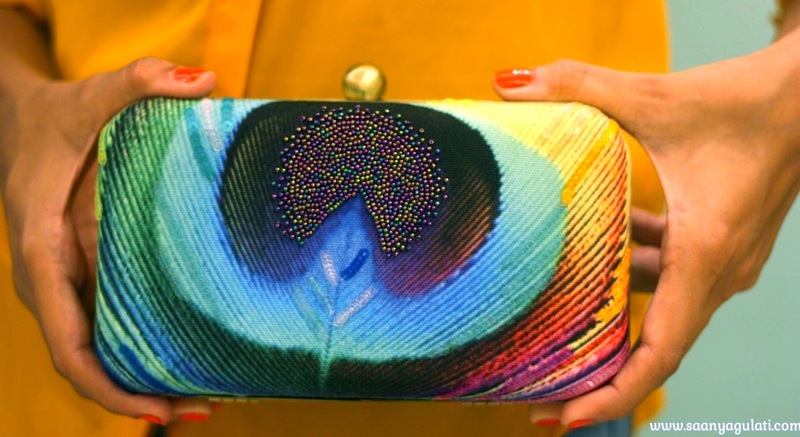 Tarini has collaborated with leading textile and fashion designers, including Bina Rao, Manish Arora, Jenjum Gadi, and Hemant & Nandita to create bespoke accessories, many of which have been showcased at Wills India Fashion Week and Paris Fashion Week. I came across her work on Instagram and I was mesmerized by what I saw. 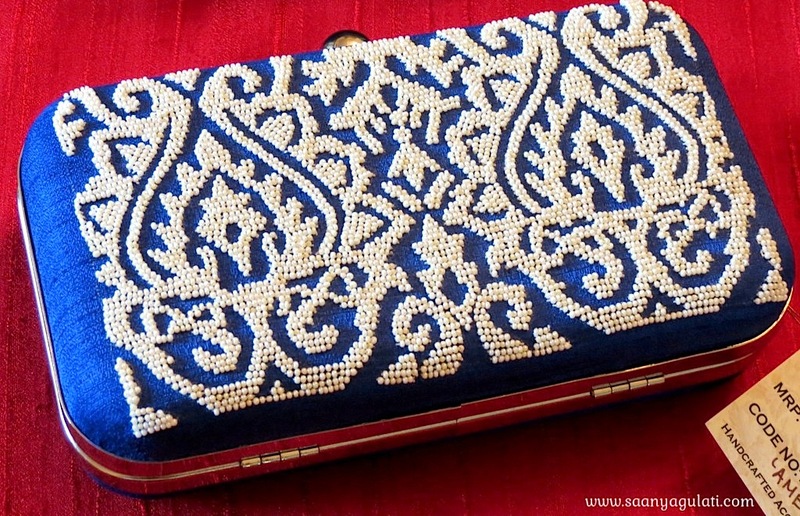 What I love about Tarini Nirula’s clutch bags is the intricate detailing and craftsmanship on each of her products. 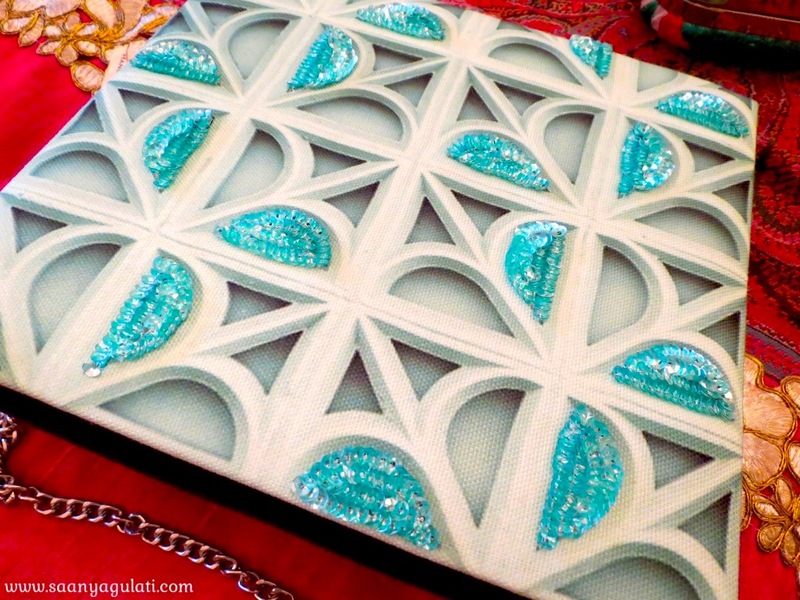 I knew I had to feature her designs on my blog. 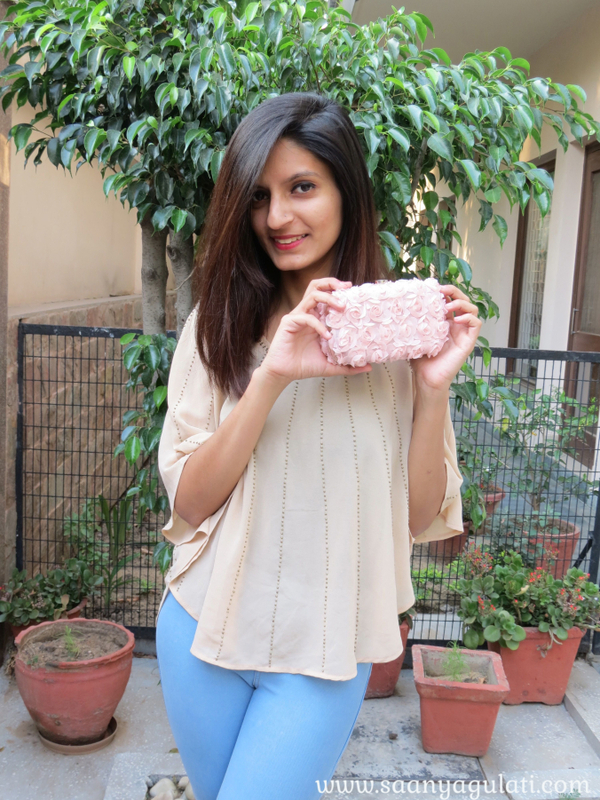 In this blogpost, I’ve featured the beautiful Gardenia White box clutch which was pure love at first sight. I styled this beauty with a white peplum top and a marvelous Madras print bright blue maxi skirt with a side slit by the sister duo of the designer label BLUEPRINT. I got my hands on it from the e-commerce site IKKIVI. I am an out an out fan of their work and their collection keeps getting better! Since I created a day look, I paired the outfit with my most favorite white sneakers from Adidas and a stunning metal neckpiece by Ritika Sachdeva. 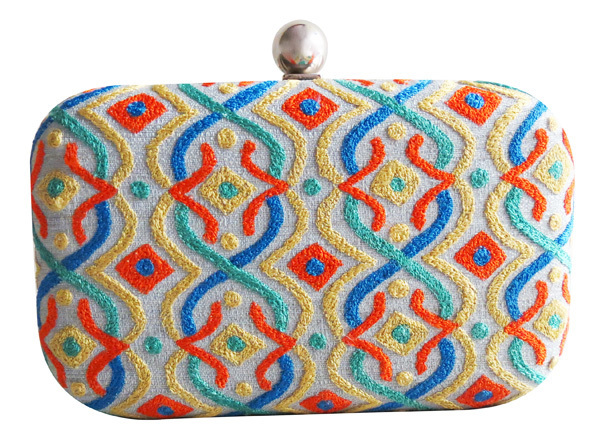 The handcrafted clutch has just the right amount of color and subtle pop of pattern to set off the the outfit, and the size is just right to hold all the essentials. 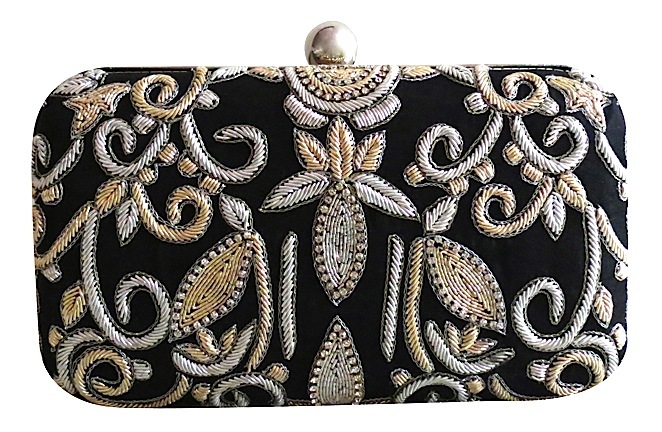 Its truly a versatile piece and is sure to make head turns at anytime, any moment! 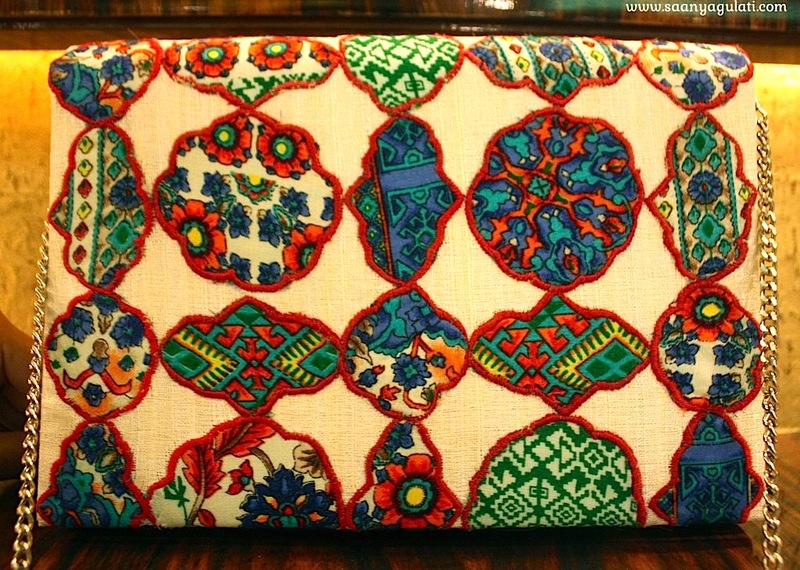 It’s safe to say that owning one of these exquisite pieces from Tarini Nirula’s collection will be a perfect addition to your wardrobe! Do enjoy the pictures and share your feedback. 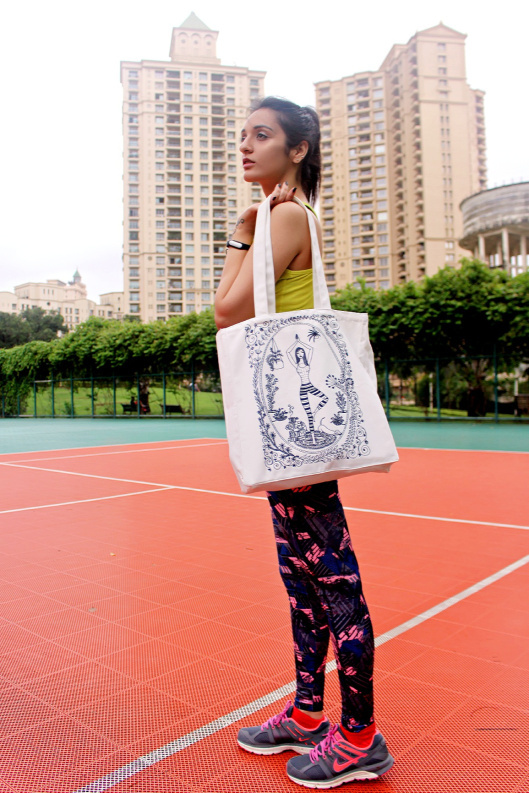 She maybe a blogger and a style influencer first but Style-preneur is the word that best describes Aien Jamir. From starting her online store 'AJ-Store' on Facebook which went on to become a hit, to being the face of Fashion and I, Aien has done it all for the love of style and been aesthetically the best at it. There has been no stopping for this lady as her unique eye for fashion, style and beauty made remarkable waves placing her in the glossy pages of many prominent fashion magazines in the country such as Vogue, Cosmopolitan, Elle, Grazia, Femina and L’officiel. She has worked with a plethora of global brands like Gap, Nike, Adidas, H&M, Mac, Bobbi Brown, Aeropostale etc. 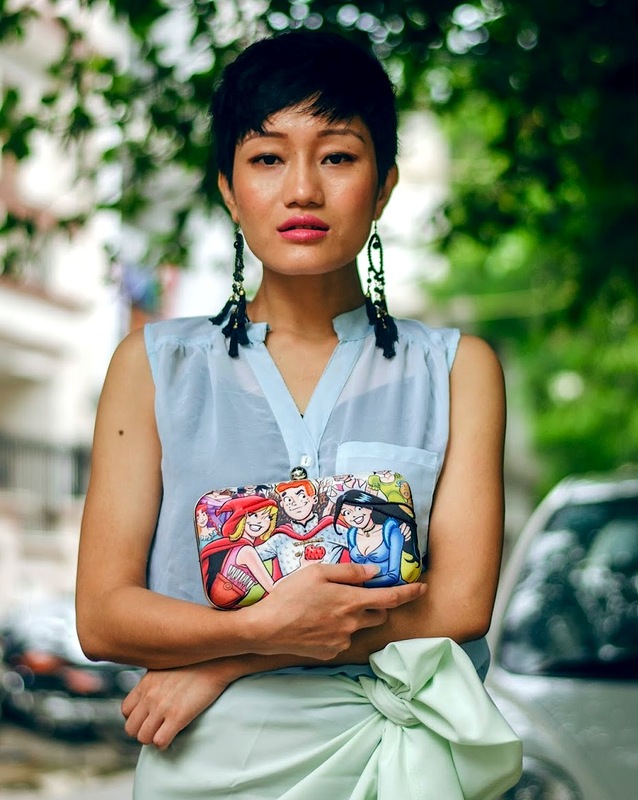 Aien's Blog, ‘Fashion and I’ aims to curate content and visuals to celebrate all things beautiful in the most sublime manner for its readers who thrive with the heartbeat called Style. 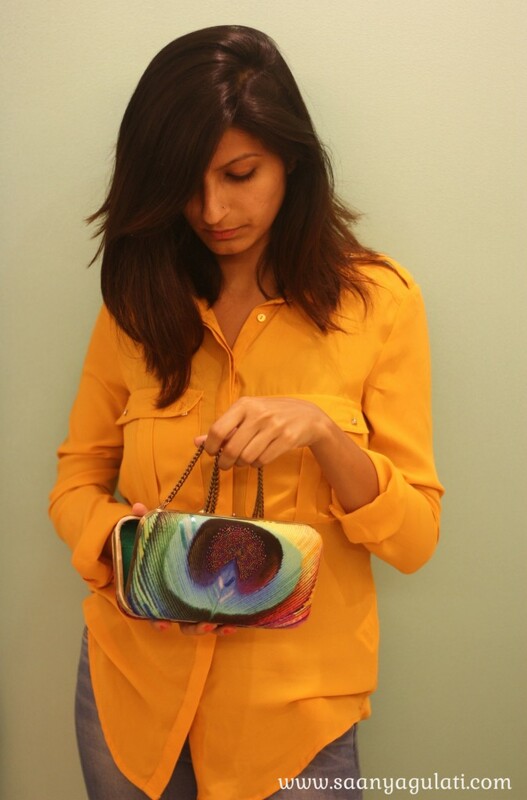 It was such a treat to be able to go through (touch and feel) one of a kind and signature bag collections of the talented accessory designer Tarini Nirula. 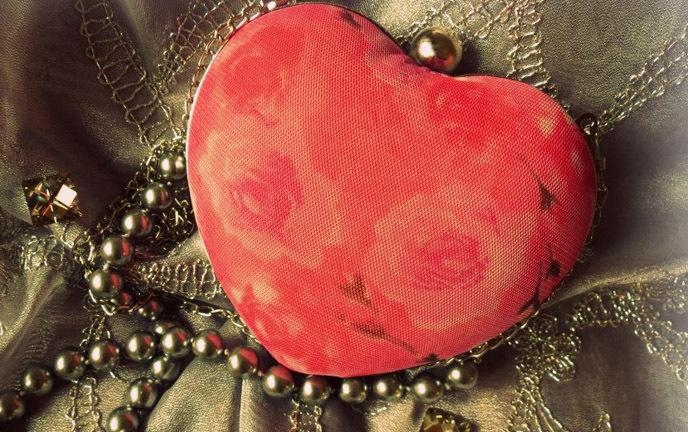 Her collection speaks volumes about her taste in personal style, her love for quirky things and detailing. 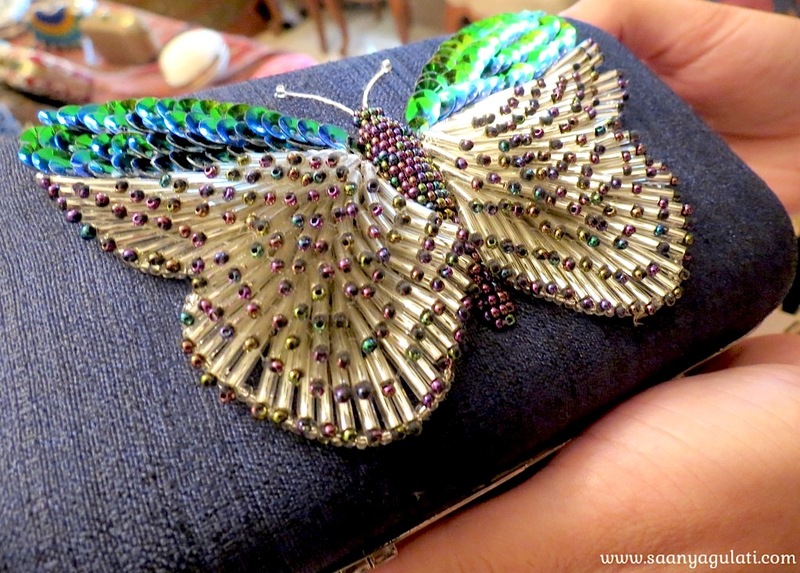 Each of her work and piece shows her love for creative art. Having graduated from National Institute of Fashion Technology-India, where she specialized in Fashion and Lifestyle Accessories she had achieved so many milestones yet her modesty makes me respect her even more. It’s rare to find people with great talent, a humble heart and who loves to give back. But Tarini is amongst those few people who fit the bill. When I was asked to do collaboration with her I didn’t hesitate a bit. Why? She has one hell of a quirky collection and I just knew her beautifully crafted clutches will fall right in with my everyday look book. 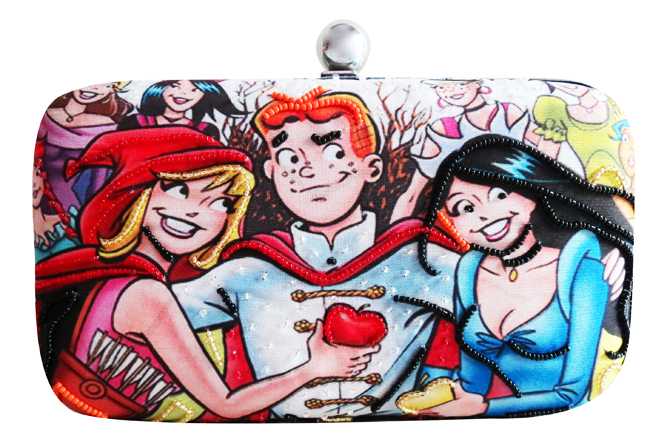 So here’s to Tarini and Archie Comics- a common love we both share – we both grew up reading them but who hasn’t right? 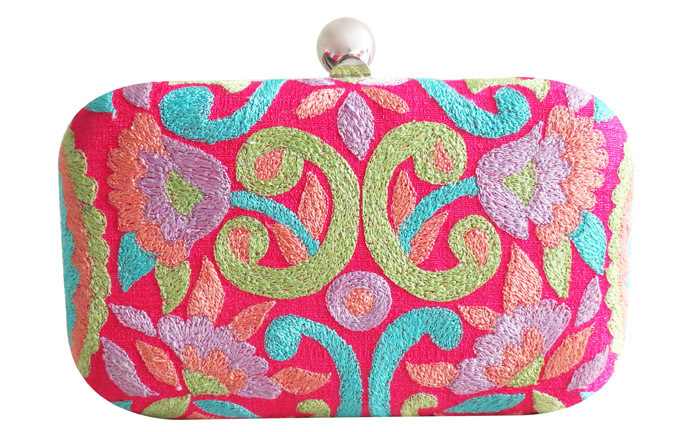 Stand out from the crowd with Tarini’s Quirky Clutches.